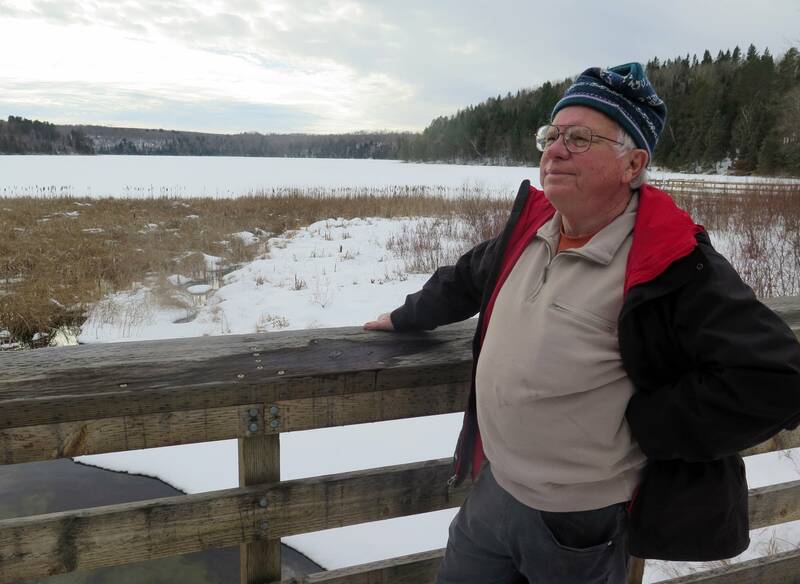 Paul Stolen waded through deep snow down a steep valley toward LaSalle Creek, about four miles north of Lake Itasca, where the Mississippi River begins, and contemplated what would happen if an oil pipeline ruptured in this spot. "You're not going to be able to clean up the oil, if it reaches the bottom of the valley," the retired Minnesota Department of Natural Resources biologist said recently as he walked the tract. You're "simply not going to do that, because of the nature of the wetland soils and the uniqueness of this area." LaSalle Creek drains into a chain of clear, narrow lakes, including LaSalle Lake, the second-deepest in the state. Minnesota recently spent $8.5 million to purchase land around the lake to protect it. 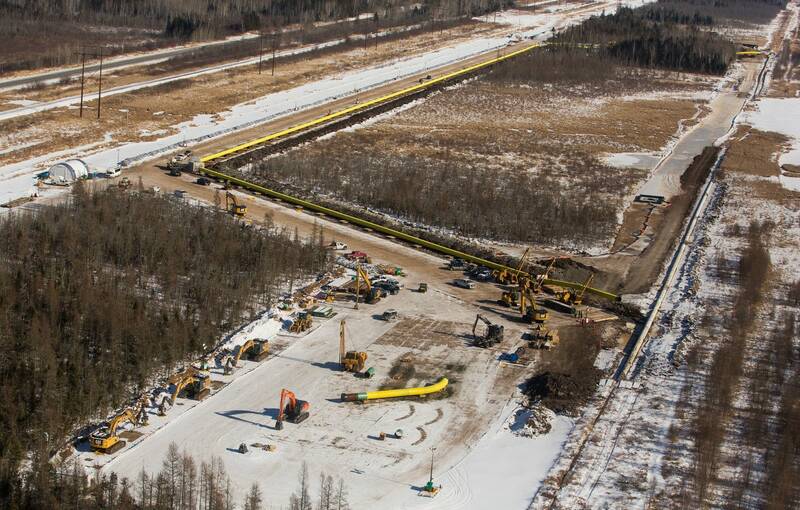 The region is one of several environmentally sensitive areas through which Enbridge Energy is proposing to locate its new Line 3 oil pipeline to carry crude from Alberta, Canada, across northern Minnesota to the company's terminal in Superior, Wis. The proposed route travels through some of the cleanest surface waters in Minnesota, some of the most vulnerable aquifers and wetlands, and some of the richest wild rice producing waters in the state. Those facts are no doubt on the minds of Minnesota regulators as they work toward a June decision on whether to let Enbridge replace its existing Line 3 with a new pipe that would carry nearly twice as much oil. They face a central question: How do you weigh the benefits of allowing a new, modern pipeline to be built across northern Minnesota against the risk of potential disaster? • Tell MPR News: What do you want to know about Enbridge's Line 3? The line would follow Enbridge's current Minnesota pipeline corridor to Clearbrook, near Bemidji, but then veer south along a new proposed corridor to Park Rapids, before turning east again. 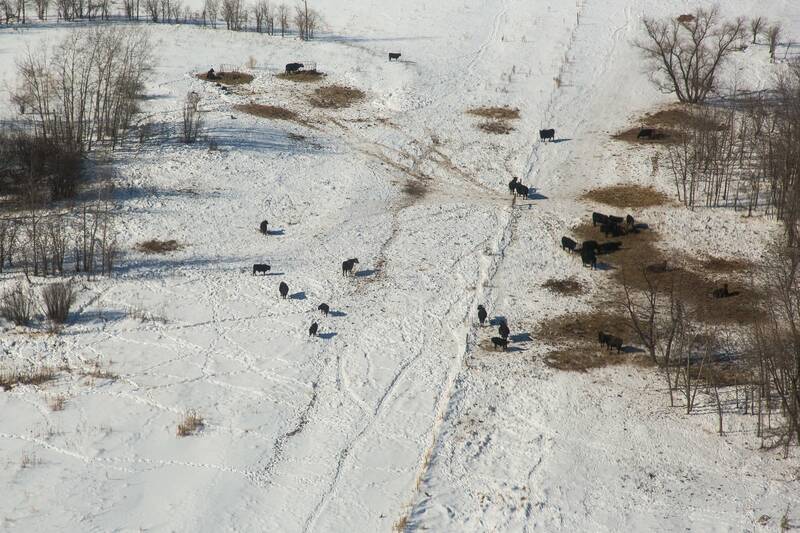 The Minnesota Pollution Control Agency and Department of Natural Resources have also expressed concern about the proposed new pipeline corridor. In an earlier analysis done in 2014 for a different proposed pipeline along the same route as Line 3, the PCA addressed the proposed LaSalle Creek area specifically. "The environmental damage that would occur as a result of a leak at this location could be massive, and the obstacles to containing the leak or performing clean-up activities could be insurmountable," the agency wrote. Stolen acknowledged the chance of a spill in any one particular location along the proposed route is extremely low. "But you have to look at the long term, and you have to ask the question, is there a better place? And yes, there's better places." Stolen volunteers for a group called Friends of the Headwaters, started five years ago by Park Rapids photographer Richard Smith when he first learned of Enbridge's plans to route the proposed Sandpiper pipeline from North Dakota through northern Minnesota. Enbridge dropped its plans for Sandpiper in 2016, but now wants to locate Line 3 along the same route. Smith and Stolen say they aren't anti-pipeline. But they argue water-rich northern Minnesota is the worst place to put an oil pipeline. If the state determines that a new line is needed, they argue it should circumvent the lakes and rivers of northern Minnesota, and instead travel through farm country to the west and south, eventually linking up with Enbridge facilities near Chicago. "I think all our water is important," said Smith. "That's why we believe a barrel of water is worth more than a barrel of oil up here." 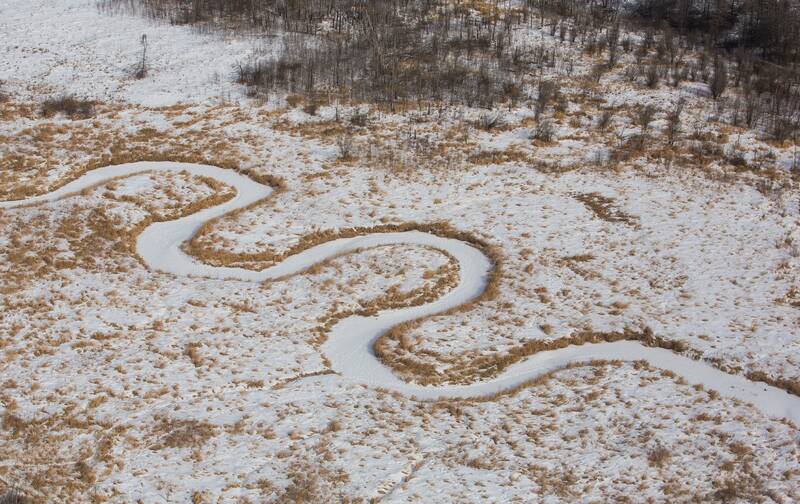 A couple weeks after Stolen and Smith hiked in the LaSalle valley, Barry Simonson flew 300 feet above it in a helicopter, surveying the route where Enbridge hopes to build its Line 3 pipeline. 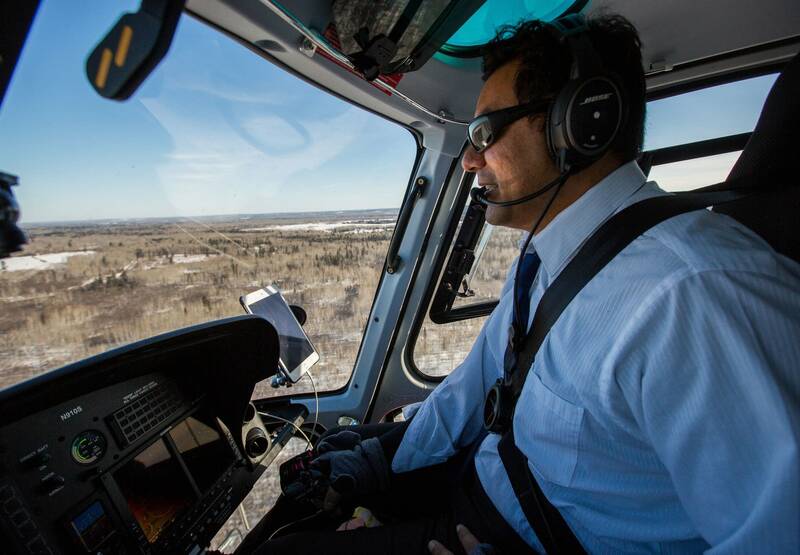 From the air, northern Minnesota's forest stretches to the horizon, broken only by the occasional homestead, countless lakes and rivers, and 160-foot wide paths through the trees cleared for oil pipelines. "They can cohabitate together," Simonson, the Line 3 project director for Enbridge, said of pipelines and Minnesota's natural environment. 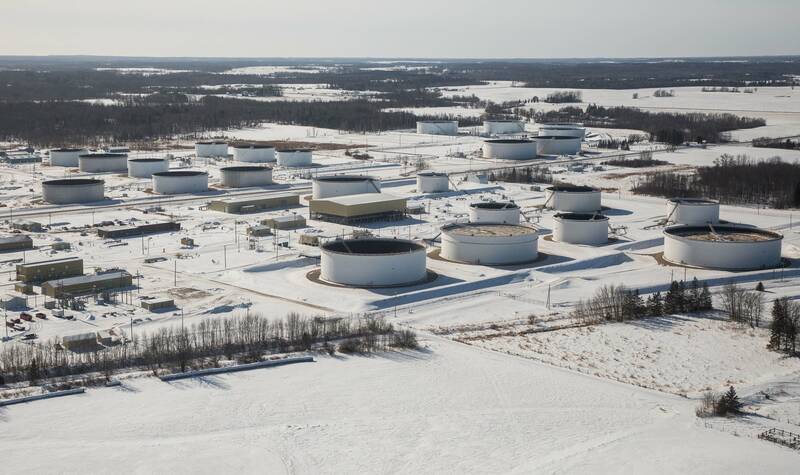 Enbridge has shipped billions of barrels of crude oil underneath northern Minnesota for nearly 70 years, since it built its first pipeline in the early 1950s. As oil production in Canada grew, Enbridge steadily added new pipelines to transport more oil. Over the past year alone the company has pumped more than 2.7 million barrels every day — that's more than 113 million gallons — through its network of six oil pipelines that transport crude from Canada across the state. And the fact that northern Minnesota's lakes and rivers are still so pristine, Simonson said, after all that oil transport, proves that pipelines can be operated safely here, and is "a testament to the credibility that Enbridge has." But there have been several major incidents on Enbridge pipelines in Minnesota in the past. In 1991, the current Line 3 ruptured near Grand Rapids and spilled 1.7 million gallons of oil. Crude flowed into the frozen Prairie River just before it connects to the Mississippi. To this day it's still the largest inland oil spill ever in the U.S.
Another accident in Cohasset in 2002 spilled more than 250,000 gallons into a wetland. Enbridge's safety record has improved in recent years. 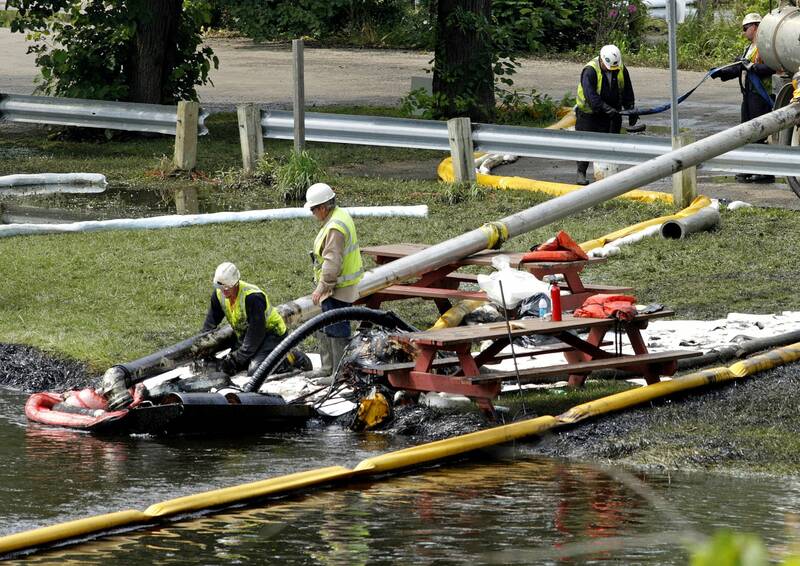 Over the past five years there have only been two spills on Enbridge pipelines in Minnesota of 210 gallons or more. "They're kind of bucking the trend," said Carl Weimer, executive director of the watchdog group Pipeline Safety Trust. Nationally, he said, the number of crude oil pipeline spills is trending slightly upward, although the average volume of spills is decreasing. But Enbridge's incident numbers are heading in the opposite direction. "Enbridge is certainly not the worst pipeline company in the country. They're not the best either, but they seem to be better than the majority of the large companies, just looking at incident data," said Weimer. Despite that recent success, Enbridge is still dealing with the legacy of a massive rupture of its Line 6B in Marshall, Mich., in 2010. Seventeen hours passed before workers shut off the pipeline after the leak began. 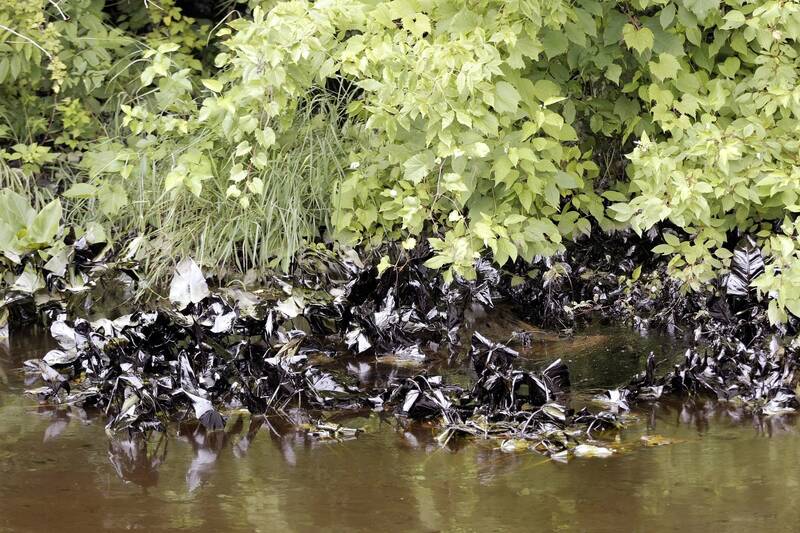 Eventually it spilled more than 1 million gallons into the Kalamazoo River, including thick, sticky tar-like bitumen from Canada's Oil Sands region, that unlike lighter, conventional oil, can sink to the bottom of lakes and rivers. The spill took several years and $1.2 billion to clean up, the most-ever for an inland oil spill in the U.S.
Last year the company signed a consent decree with the U.S. Department of Justice, agreeing to pay $61 million for the 2010 spill, upgrade leak detection measures and install more shutoff valves. That agreement also called for the company to replace its existing Line 3 in Minnesota as soon as it receives state approval. "That was one incident that the company takes full responsibility for — all releases that happen we take responsibility for," said Enbridge's Simonson. "That really was a game changer in the industry in terms of stepping up our game and the industry's game," he added. "There have been incidents in the past, and we're not proud of those. But we strive to ensure that we don't have any releases like that going forward." It tries to do that through an extensive safety program that starts during construction and continues with ongoing inspection and maintenance. For example, the company regularly sends devices known as "smart pigs" through its pipelines to detect corrosion and other issues. Then it excavates those problem sections to repair the pipe. "It's a multi-layered defense to keep the oil in the pipe," said Jeremy Ward, Enbridge's pipeline integrity program manager. In the last 16 years, Enbridge has had to conduct 950 of those so-called integrity digs on Line 3 as the pipe has increasingly cracked and corroded. And it's forecasting thousands more over the next several years. Building a new Line 3 with thicker steel and modern technology actually reduces environmental risk, the company argues. "It's the best way to continue to protect the environment from the potential from spills or releases or other incidents," said spokesperson Jennifer Smith. Since the day Enbridge first proposed the project, it's billed the new Line 3 as a "replacement" project. Enbridge argues in its filings to the state Public Utilities Commission that despite the concerns raised by environmental and tribal opponents to the project of the risk of an oil spill, they "fail to acknowledge that the project reduces the risk of an accidental release." In short, a new pipeline "will have much less susceptibility to integrity threats based on the benefits of modern materials, manufacturing methods, construction, and inspection practices." But critics argue that a modern pipeline will eventually be old, and should be treated as such. "We have to be really careful, just because a pipeline is new, doesn't mean that it's invincible," said energy industry consultant Richard Kuprewicz, a pipeline safety expert who submitted testimony on Line 3 on behalf of Friends of the Headwaters. "No one in their right mind wants to build a multibillion dollar pipeline that turns out to be junk, but it can happen," he said. Federal data shows that nationwide, pipelines installed since 2010 have actually had more than twice the number of incidents as older pipelines. The Keystone pipeline, for example has had three major leaks since it was built eight years ago, including a spill of more than 200,000 gallons late last year in South Dakota. President Trump has approved the expansion of that line, dubbed the Keystone XL. For the most part, however, data shows those spills tend to be small. And most are contained onsite. "When you look at how many of the incidents impacted the public or the environment, we actually show a 20 percent decrease over the last five years," said John Stoody, spokesperson for the Association of Oil Pipelines in Washington, as new pipelines work out "kinks" in their systems. And Enbridge, again, appears to be bucking this national trend. None of its major pipelines built in the last decade have experienced failures, said Simonson. Still, critics of the plan inevitably come back to one central argument. "With pipelines, inevitably they do leak," said Cass County's Jim Reents with the citizens' group Northern Water Alliance. "And we feel that tar sands oil and water-rich environments don't mix." Enbridge intends to ship both more conventional oil and heavy crude from Alberta's Oil Sands on Line 3. A 2015 National Academy of Sciences study conducted after the Kalamazoo River spill concluded that "spills of diluted bitumen pose particular challenges when they reach water bodies," because "in some cases, the residues can submerge or sink to the bottom." And, critics point out, Enbridge is motivated by more than safety. An upgraded line would increase the daily amount of oil transported from 390,000 barrels to 760,000 barrels. 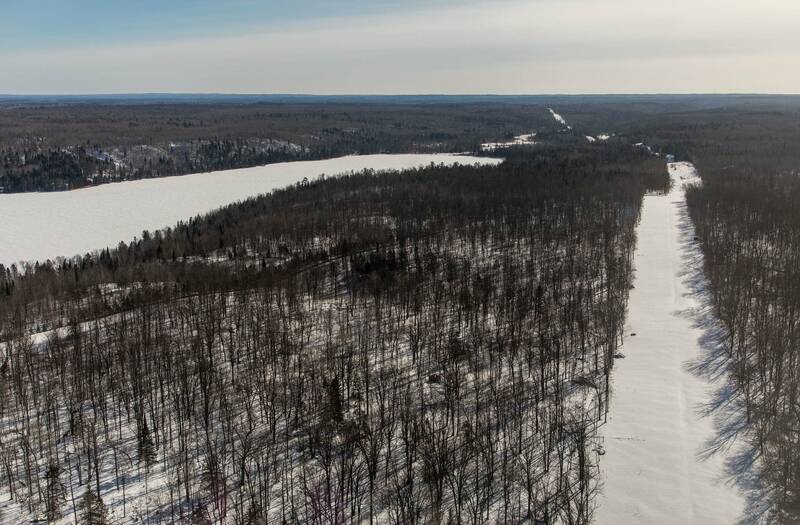 Many opponents say if the state finds there is a need for the new pipeline, it should circumvent the lakes country of northern Minnesota and connect to Enbridge facilities near Chicago. 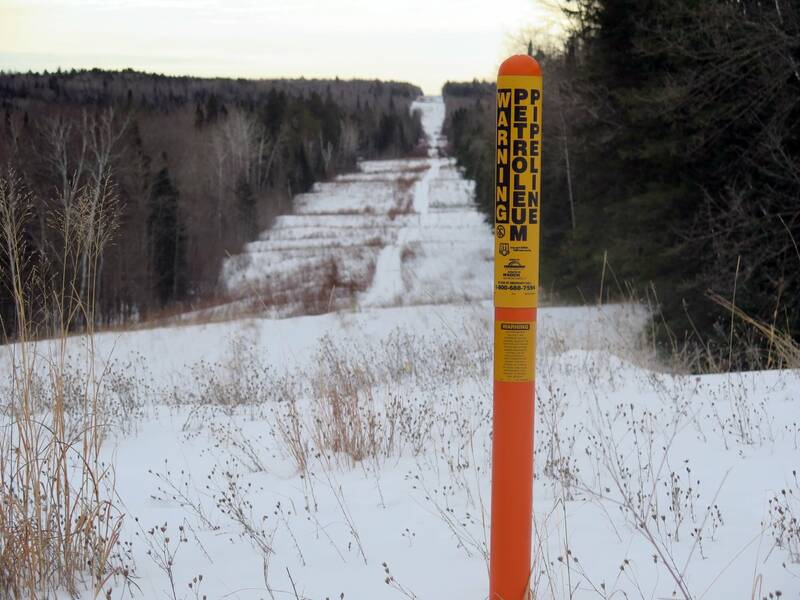 But a route that doesn't connect to its facilities in Clearbrook and Superior is a "non-starter," said Enbridge's Simonson. If the state denies the new pipeline, Enbridge has said it would continue to operate the current Line 3 at reduced pressure. But that would require substantial ongoing maintenance and disruption to landowners, Enbridge argues. It's also fiercely opposed by the Leech Lake Band of Ojibwe, whose reservation the pipeline crosses. A rejection from the state would also likely result in an increase in oil shipped by train — at least in the short term — which state regulators say would result in more, albeit smaller spills, than what would occur from pipelines. In short, there are no easy answers as state regulators prepare to decide on Line 3 in June. 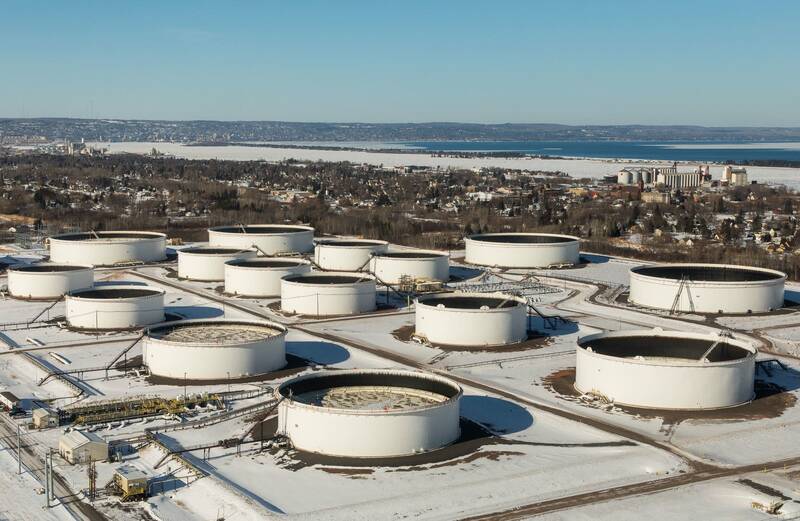 As Bill Grant with the Minnesota Department of Commerce put it at a public hearing on Line 3 last year, "there's no clear winner out of any of these alternatives. They all have their warts."